Noble walnut makes this NATUREHOME magazine file a true focal point in your office. The dark noble wood is especially suited for premium office supplies. 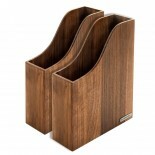 Because of its elegant grain every office product from wood is completely unique. The size is ideal for brochures, magazines and flyers. 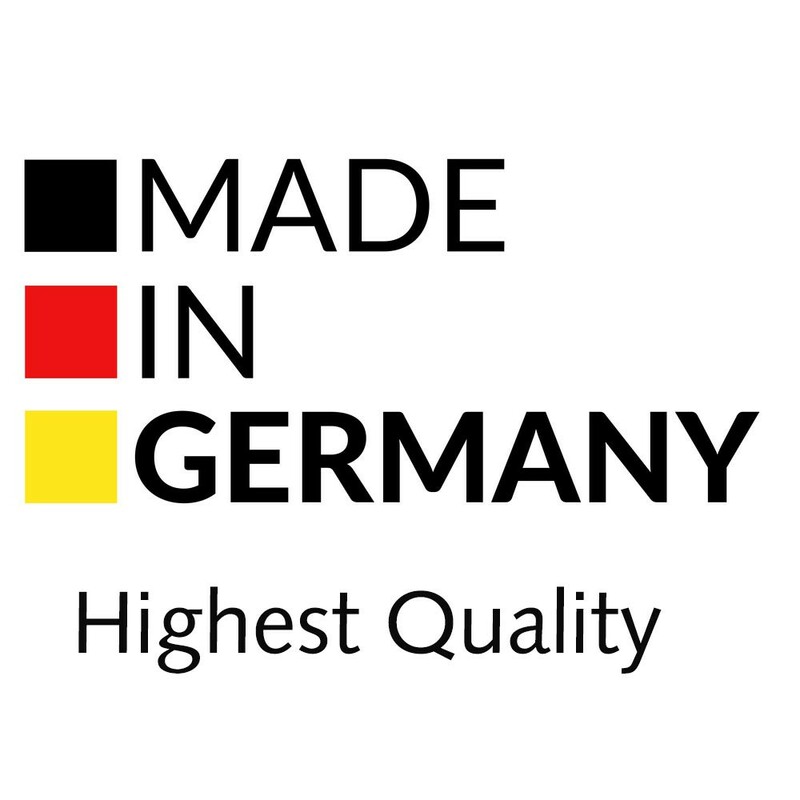 Hand-made quality "Made in Germany" from certified, sustainably forested wood and is only oiled with natural pine oil. 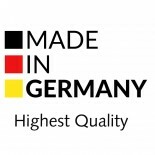 With exterior measurements of (Length x Width x Height) of 23,5 x 8 x 31,5 cm - it suits standard sizes of Din A4. With our wooden magazine file you'll make a statement for sustainability in your office space as well as you study at home. Office supplies from cardboard and plastic are useful, but also very short-lived. Especially in premium office interiors it is going to pay to value details. Because if you feel good where you work, your company and customers will benefit also. 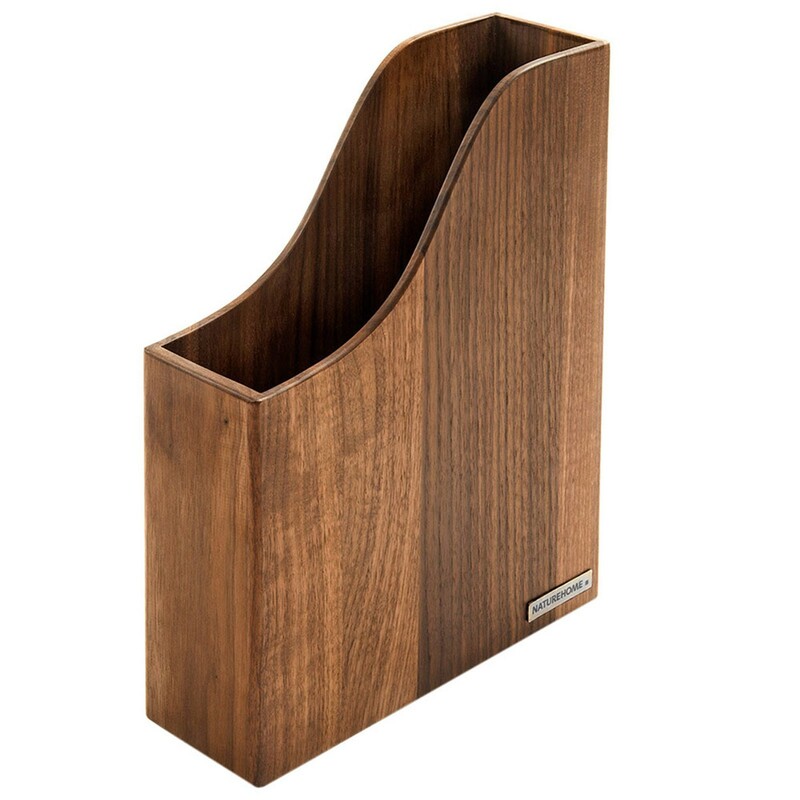 Whether in a medical practice, at the reception desk or in your home - the dark, elegant walnut wood of the NATUREHOME magazine file is a real focal point. The nicely grounded edges and slight declines in the back reveal the love for detail. The sleek design of our office supplies from wood matches different interiors.